I have a device on which I would like to install Ubuntu. How do I find out if Ubuntu will work on it? Help: What types of questions should I avoid asking? We can't handle open-ended questions about what problems you could face, but questions about specific problems are much better. You can make a bootable USB from the Ubuntu installation ISOs, and then try out a live session instead of installing. The live session doesn't make changes to your system by itself, so it's a safe way to test drive Ubuntu. However, even a successful run of the live session is not a certain indicator - there have been cases where the live session worked fine but the installed Ubuntu didn't. As a minimal check, first see: What are the system requirements for each flavour of Ubuntu Desktop? and the list of Ubuntu certified devices. Certified devices might rely on proprietary drivers, and so may work best with the specific Ubuntu release for which they were certified. If your system is underpowered, then see: How do I find out which version and derivative of Ubuntu is right for my hardware in terms of minimal system requirements? Pick a lightweight flavour like Lubuntu or Xubuntu and proceed. Hardware support is the same across flavours (same kernel, same repositories) but hardware requirements can differ. You can try a normal release, or an LTS release: What's the difference between a Long Term Support Release and a Normal Release? Once the live session starts, play around a bit with Ubuntu to see how much of your hardware works and how well it works. Try to narrow down any problems that you faced, and post individual questions with relevant details. Then we can help you with the specifics. What follows is a set of links, both to posts here on Ask Ubuntu, and elsewhere, that can help you in your quest. I'll try to avoid passing judgement on any particular manufacturer, but instead try to link to canonical posts that's likely to be kept updated. The major tag for each section is also given next to heading, use them when asking questions. So, for example, a WiFi problem with a Qualcomm Atheros chip would be tagged networking wireless atheros and include the output of the wireless info script. Hardware support can be hit and miss. It is helpful if you can lookup the exact hardware configuration of your system (i.e., not "3GB graphics" or "Killer WiFi", but "NVidia GTX 670MX" or "Qualcomm Atheros QCA6174 802.11ac" - the exact model number is important). I have a hardware detection problem, what logs do I need to look into? How can I find my hardware details? How can I install Ubuntu without removing Windows? Recent releases of Ubuntu tend to play well with UEFI. See How do I install Ubuntu alongside a pre-installed Windows with UEFI? Post a question with the information from My wireless/WiFi connection does not work. What information is needed to diagnose the issue? Is there any way to install Atheros e2400 drivers? NVIDIA Unix Drivers - this page links to specific driver versions. Each version has a list of supported devices. Which graphics cards are supported by the new AMDGPU driver in Ubuntu 16.04? No version of Ubuntu can be installed with any Skylake 6th generation Intel processor (not really, it just needs a kernel version > 4.3 so a new enough Ubuntu should work out-of-the-box). How do I make modprobe changes permanent? - if you keep having to run modprobe to activate your touchpad. As for webcams the ubuntu webcam help page is a good start. You may also search the list of devices supported by uvc driver directly. Will laptop Dell Inspiron 15 7000 gaming 7567 work with Ubuntu? What does a new Ubuntu user need to know about installing on an Acer Aspire a515-51g? Will Ubuntu work if I install it offline? 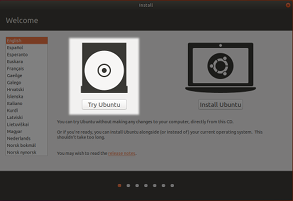 Will Ubuntu erase my my current OS if I install it from a bootable usb? Wiping Mac OS completely and installing Ubuntu: Will the webcam work? Will Ubuntu work with my computer?